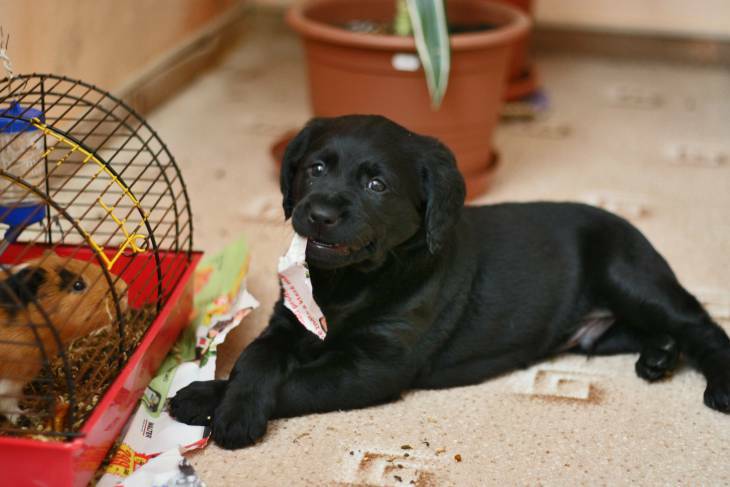 If you have an anxious dog, you know what kind of havoc he can wreak, from your home to your well-being. While this behavior drives you nuts, your love for your buddy compels you to find a helpful solution. One of these solutions could be Amitriptyline. But is it safe? Amitriptyline is an anti-depressant that is used to curb separation anxiety or extreme nervousness in dogs. In some cases, it can also be used to quell certain behavioral patterns in pooches, such as obsessive grooming. Sometimes, it could be used to calm their nerves in the event of loud, unexpected noises. Is it Safe for My Dog to Take? Technically speaking, amitriptyline can be safe for anxious dogs to take. However, as is the case with any medication, it is unwise to just give your pooch the pill. You should take some precautions beforehand. The first thing you should do is consult with your dog’s veterinarian. Your vet will work closely with you and your pooch to formulate a proper strategy to overcome his anxiousness. He or she may even see it fit to not give your pooch a prescription for the medication. Even before you consult with the vet, there are a few things that you should know about amitriptyline and how it relates to your pooch before you consider seeking out a prescription. For instance, you should proceed with extreme caution if your dog is pregnant or nursing, has had liver or thyroid disorders or has a history of seizures. The way amitriptyline works has to do with the effect the drug has on a dog’s brain. Specifically, it chemically alters the brain by increasing the amount of serotonin in a pooch’s brain. Serotonin is the neurotransmitter that regulates behavior appetite, heart functionality, and other essential components to a dog’s body. Essentially, the boost in serotonin will produce feelings of calm and contentment within the dog. This feeling of satisfaction will ultimately lead to a pooch feeling more relaxed, less nervous, and less prone to anxiety attacks. If this sounds similar to the amitriptyline that is prescribed to humans, there’s a reason for that similarity. It is more or less the same drug. The only difference being that a pooch’s dosage will be much lower than that of a person’s. What makes amitriptyline so appealing to some owners is the residual effect that it may have on their dog’s overall behavior. From a big picture perspective, it promises to do much more than just calm a pooch’s nerves. For example, anxious dogs are known to cope with their feelings by engaging in some destructive behaviors, such as digging up a backyard or destroying a piece of furniture. Other problems caused by anxiousness like submissive urination aren’t necessarily as bad as wrecking property, but they are still very annoying. Amitriptyline could potentially fix these behaviors. What Are the Side Effects of Taking Amitriptyline? Before you start any research or vet consultations to see if amitriptyline is right for your dog, it would behoove you to consider the drug’s side effects. Keep in mind that the effects range in both frequency and severity, and no two dogs react the same way. With that being said, the potential of certain side effects should be taken into consideration. The most common side effect that you’ll see in a dog on amitriptyline is extreme drowsiness followed up by dry mouth. The latter condition will have secondary symptoms that trace back to the dryness, such as frequent lip licking, panting, and an increased water intake. In some cases, amitriptyline has been shown to cause issues with a dog’s digestive system. Issues like constipation, nausea, and a loss of appetite could all manifest within a pooch taking the drug. Amitriptyline can also sometimes have an altering effect on the circulatory system in the form of lowered blood pressure or an increased heart rate. In rare cases, amitriptyline can cause some serious side effects. Some of these more extreme side effects include muscle weakness, seizures, and heart conditions. Also, periodic blood tests will need to be done at the vet's office to check on your dog's liver, as the drug has been known to potentially cause liver issues after extended use. If you still decide that your dog is a good fit for amitriptyline, it is imperative that you follow the precise instructions as given by your veterinarian. You should also consult the label of the prescription before giving your dog his first dose. If anything looks odd, call your vet immediately – don't make guesses. You should also keep giving your dog the medication precisely as long as the vet dictates. Don’t ever assume that your dog is “cured” and cut him off cold turkey. The drug must be tapered off carefully so that your pooch doesn’t end up suffering uncomfortable withdrawal symptoms. You should expect to give your pooch a dose of amitriptyline once or twice per day, ideally at the same time every day. If you accidentally missed a dose, don’t worry – give it to him as soon as possible. If it’s already time for the next dose, don’t give two doses at the same time – just skip the missed dose and get back on schedule. Take Care of that Anxious Dog with Great Care! As you go through the process of dealing with your anxious dog, you should do so in a warm, caring manner. Remember, he’s not acting anxious for nefarious reasons. In other words, he doesn’t mean to be a bad dog! So be sure to give your dog lots of love and hugs if you choose to give him amitriptyline. Doing so will serve to strengthen the bond that you have with your pooch, and will make you a strong dog owner in the eyes of your four-legged friend. And at the end of the day, can you ask for anything more when it comes to your little buddy? Help! My Dog Drank Antifreeze! What Can I Do?